Massage Koreatown: Welcome to the Buri Spa Blog! Welcome to the Buri Spa Blog! 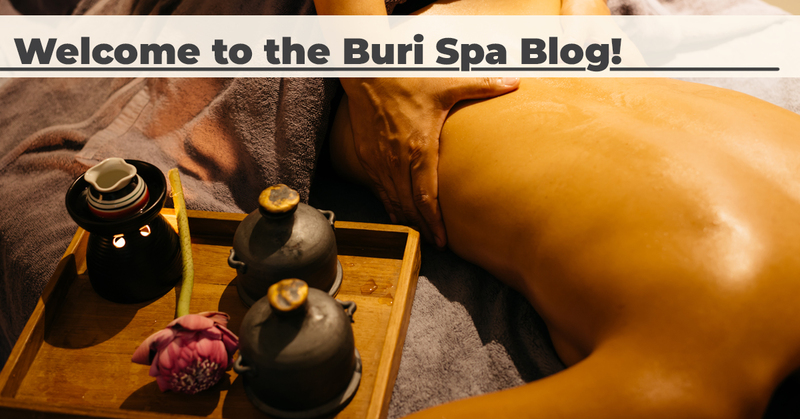 Welcome to the Buri Spa blog! Buri Spa is a premier massage studio located in Koreatown in Midtown Manhattan. We offer all types of therapeutic massage techniques, including everything from Thai massage, deep tissue massage, and Swedish massage, to specialty massages like four hands massage, couples massage, and combination massage sessions. Our goal is to tailor your massage session precisely to your needs to help you achieve your health and wellness goals, be it pain relief, relaxation, or taking a break from the hustle and bustle of life in the city. We will use our blog to share news about our massage services, as well as insightful tips and tricks to help you maintain your health and wellness. The articles we share on our blog will cover everything from exploring different massage techniques and types of pain to self-care tips you can practice at home, at work, and on the go. Today, we will look at some of the most popular massage services we offer to give you an overview of our specialties. Ready to book your next massage in Koreatown? Contact our Top Rated Local® massage spa in Manhattan to arrange an appointment! In the meantime, the experienced massage therapists at Buri Spa will introduce you to some of our massage services. Thai massage integrates traditional massage techniques, passive stretching, assisted yoga poses, and rocking the body to create a rejuvenating and invigorating massage that benefits the body and mind. Unlike traditional massage, the client is clothed during the session. Your massage therapists will apply acupressure focused on specific points rather than long, gliding strokes of a traditional massage. While your therapist will move your body into a number of poses and stretches, clients are able to achieve a state of calmness, peacefulness, and healing. Follow the link to learn more about Thai massage. A combination massage is one of our most sought-after therapies, as it combines two of our most popular massages: Thai massage and deep tissue massage. Our massage therapists apply deep tissue treatments to relieve pain, improve circulation, and release tension. At the same time, your practitioner applies passive stretching techniques and positions body into healing and rejuvenating yoga poses. The goal is to provide a healing and renewing experience that positively affects the body and mind. A four hands massage is unlike anything you’ve experienced before. Two massage therapists use synchronized hand movements and massage techniques to heighten your state of relaxation, peace, and calmness, while at the same time, releasing tension from the muscles and tissues. This is truly the best way to fully relax the body and mind. Couples massages are incredibly popular. Whether you and your bestie want to get a relaxing massage together, or you and your partner want to share in the experience of healing and renewal, a couples massage is wonderful spa experience to share with a friend or loved one. While each person has their own therapist, the massage therapists work in sync, flowing through massage techniques on each person. If you are ready to try these and other massages that will melt your pain and stress away, reach out to Buri Spa in Manhattan to schedule a massage in Koreatown. We offer convenient hours and you can even book your own massage using our secure online booking tool! Thank you for reading and we look forward to working with you. Like this content? Be sure to follow our blog regularly for more great and insightful news about our Manhattan spa and so much more!